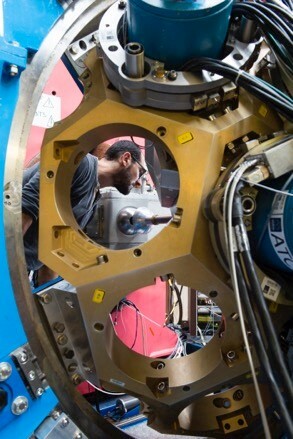 The main mission of the accelerator sector is to operate GANIL's five cyclotrons and transport the heavy ion beam to the physics rooms. 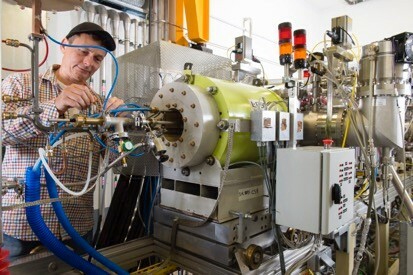 This sector also manages the maintenance of accelerators and the continuous improvement of their performance. For that, the sector is made up of 8 technical groups which can intervene 24 hours a day during operation in the field of operation, ion sources, control, high frequencies, diagnostics, power supplies, vacuum and cryogenics. These skills are also solicited by transverse projects such as SPIRAL2 for which the SDA actively participates in the realization and installation. the provision of transverse resources to the laboratory for the design and mechanical realization as well as for the management of the computer tool and the associated network architecture. To meet these objectives, the sector is organized into six groups. 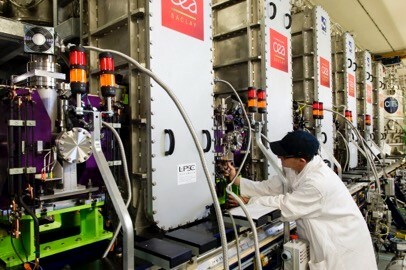 Three are in direct interaction with the physics teams to carry out the experiments, two transverse support groups for the design and mechanical realization and a computer service group for the entire scientific and technical community of the laboratory. It ensures the SPIRAL2 installation as part of an international collaboration and prepares the transfer of SPIRAL2 to the operator services. This sector is organized into different sections responsible for the SPIRAL2 linear accelerator, the systems deployed for the project, the building and related infrastructure.